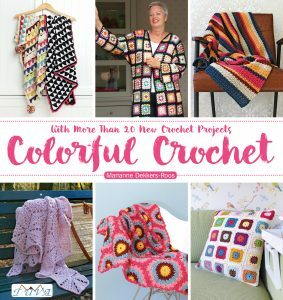 Crochet, geometric patterns, and a challenge….. what’s not to like? 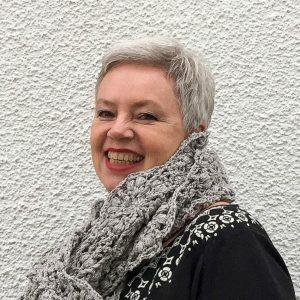 When the lovely CraftKitchen people asked us, the blogging team, whether we thought it would be possible to crochet with Norwool sock yarn as well, my creative brain started rattling instantly. 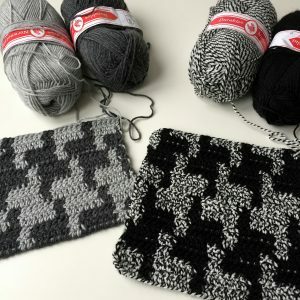 I immediately knew I wanted a graphic pattern, and a quick search for “geometric crochet” and “houndstooth crochet” on Pinterest, gave a wealth of possibilities. I particularly loved the rather big sized pied-de-poule in this Red Heart pattern, and used that as a reference. Color swatches were quickly made, and so was my decision to go with the bolder combination. 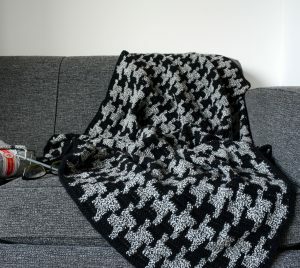 As you can probably see, the blanket is crocheted following the “tapestry technique” – nothing to be scared of, really. In my Norwool Blanket-pattern I’ve included some links to helpful videos, as well as my own tips. One important hint is how to carefully (and easily) “manage” your working and non-working yarn. 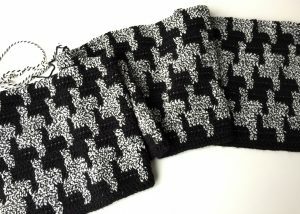 And boy-oh-boy, I so liked everything about this project and its journey: the pattern, the colors (black is a color, right? 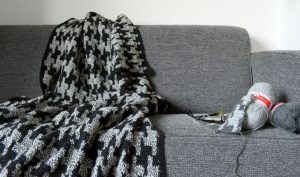 ), the softness of the blanket, the rather repetitive and thus mindful making, plus – now that it’s finished – its warmth and comfort whilst I’m working on my next CraftKitchen-project. 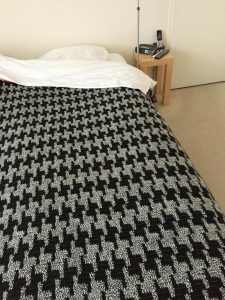 The mindful Norwool Blanket-making took place over the holidays, and I’m so happy I can finally share it with all of you! 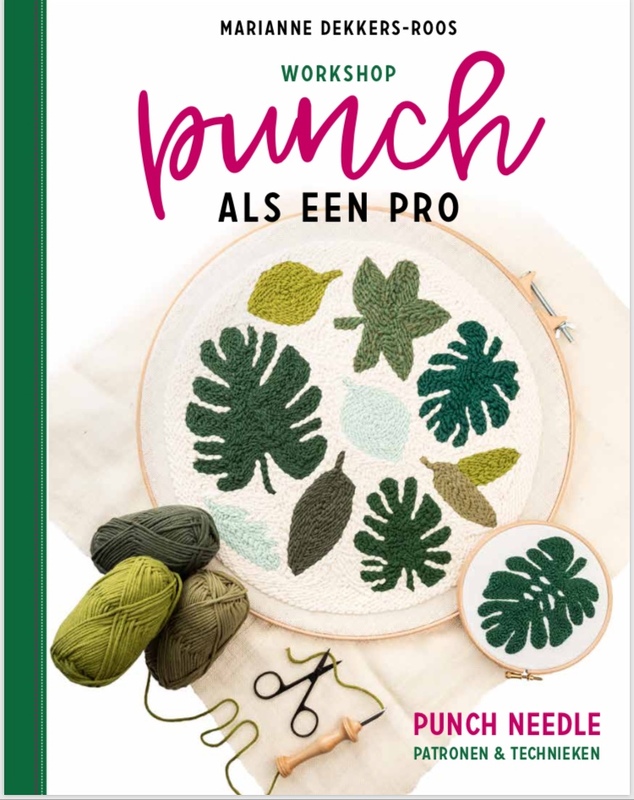 You can find the – free – pattern in Dutch here, and the one in English here (or via the pattern section of my blog). It’s already gotten heaps of love on the CraftKitchen Facebook-page, and how about this post on Instagram: @captainhook3105 started her Norwool Blanket right away, awesome! And you know what? 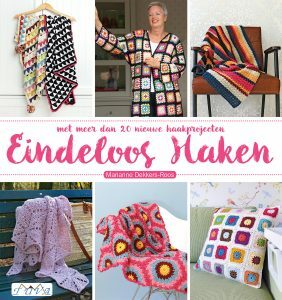 This coming week/weekend you can see my Norwool Blanket, and lots-and-lots of other CraftKitchen projects “live” at the “Handwerkbeurs” in Zwolle! Two (and on Saturday even three) of The CraftKitchen bloggers will be there each day throughout the event (Feb 9 – Feb 12), and we’re all looking forward to seeing you in our creative kitchen, showing our latest projects, giving tips, etc. I’ll be there on Friday and Saturday (working on my second Norwool Blanket), please come by and say “hi”! What a beautiful blanket! Thank you for sharing your blanket with us! ???????????? Mooi gem(h)aakt. Van dit garen heb ik een kussenhoes gebreid in gerstekorrel. Dat is ook heel mooi geworden. In de grijs-gemeleerde versie van het garen. 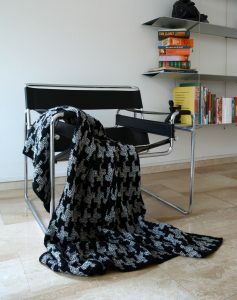 What a step away from the colourful things you are known for, but it works in houndstooth, there’s no doubt about that. It looks very elegant draped over the sofa like that. Ik ben begonnen met het haken van deze deken, maar ik word ‘wanhopig’ van het in elkaar draaien van de wol. Heb je svp de ultieme tip? Heb al een bol links en rechts van me, maar het blijft in elkaar draaien. Hallo Marianne, bedankt voor je reactie…om en om ‘oppakken’ is al een hele verbetering 😉 en ik heb de bollen wol nu in 2 geïmproviseerde ‘wolpotten’ zitten, waardoor de bollen op de grond, niet meer in elkaar draaien.